The company that makes Roundup, Monsanto, has strongly denied that there is any connection between its product and cancer. 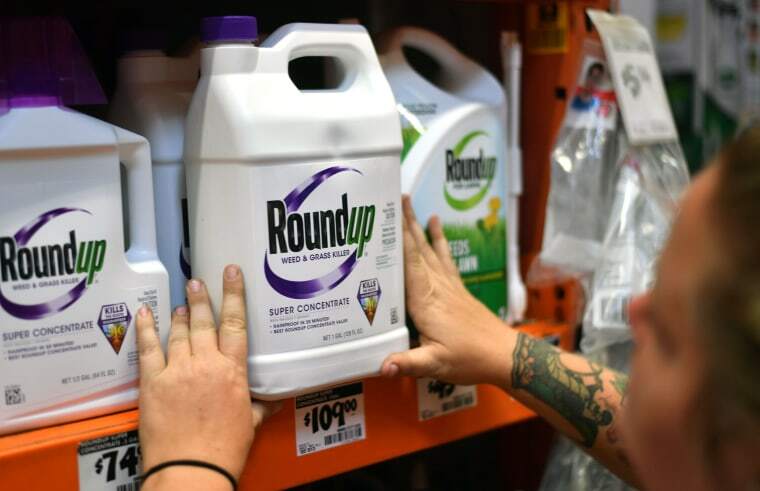 SAN FRANCISCO — Hundreds of lawsuits alleging that Roundup weed killer causes cancer cleared a big hurdle this week when a federal judge ruled that cancer victims and their families could present expert testimony linking the herbicide to non-Hodgkin's lymphoma. U.S. District Judge Vince Chhabria said evidence that the active ingredient in Roundup — glyphosate — can cause the disease seemed "rather weak." Still, the opinions of three experts linking glyphosate and non-Hodgkin's lymphoma were not "junk science" that should be excluded from a trial, the judge ruled on Tuesday. The lawsuits say agrochemical giant Monsanto, which makes Roundup, long knew about the cancer risk but failed to warn people. The ruling allows the claims to move forward, though the judge warned it could be a "daunting challenge" to convince him to allow a jury to hear testimony that glyphosate was responsible for individual cancer diagnoses. A separate trial is under way in San Francisco in a lawsuit by a school groundskeeper dying of non-Hodgkin's lymphoma — the first case a jury has heard alleging Roundup caused cancer. In response to Chhabria's ruling, Monsanto Vice President Scott Partridge noted the judge excluded some of the plaintiffs' experts and called the opinions of those he is allowing to testify "shaky." "Moving forward, we will continue to defend these lawsuits with robust evidence that proves there is absolutely no connection between glyphosate and cancer," Partridge said in a statement. "We have sympathy for anyone suffering from cancer, but the science clearly shows that glyphosate was not the cause." Michael Baum, an attorney for the plaintiffs, said he was still reviewing the ruling but was pleased the judge rejected Monsanto's effort to have the lawsuits thrown out. "We look forward to taking the next step — getting our clients their day in court," he said in a statement. The judge wanted to determine whether the science behind the claim that glyphosate can cause non-Hodgkin's lymphoma had been properly tested and met other requirements to be considered valid. Ritz said a 2017 National Institutes of Health study that found no association between glyphosate and non-Hodgkin's lymphoma had major flaws. "When you look at the body of epidemiological literature on this topic, there's no evidence of a positive association between glyphosate and NHL risk," she said of non-Hodgkin's lymphoma. A flurry of lawsuits against Monsanto followed, and California added glyphosate to its list of chemicals known to cause cancer. Monsanto has attacked the international research agency's opinion as an outlier. The Environmental Protection Agency says glyphosate is safe for people when used in accordance with label directions.